If you have Namecheap VPS or Dedicated server with WHM/cPanel installed, you can register your own nameservers (ns1.yourdomain.com and ns2.yourdomain.com). First of all, you need to obtain IP addresses to point your private nameservers to. You can check them in the Server Welcome email or contact us via HelpDesk in order for the Hosting team to double-check them for you. Once you have IPs at hand, you can go ahead and register the nameservers on the side of your domain registrar. If your domain is registered with us, follow the guidelines here. 1. 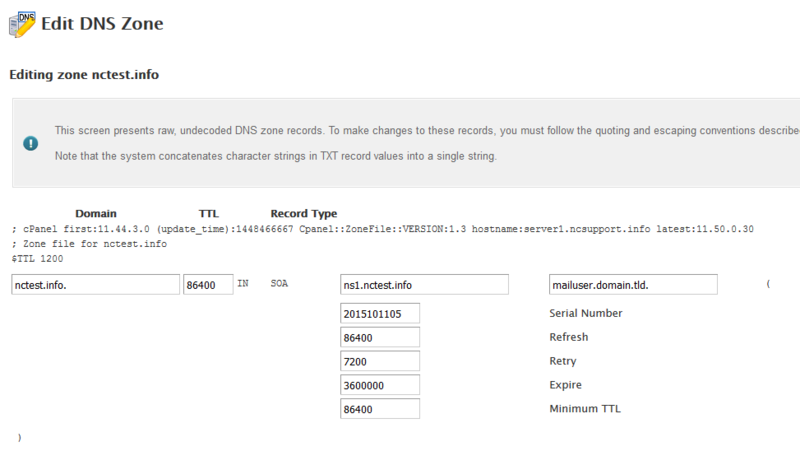 Log into WHM and go to the DNS Functions section >> Edit DNS Zone menu. In case you wish to use the newly created personal nameservers for the domain name itself (use nameservers ns1.yourdomain.com and ns2.yourdomain.com for yourdomain.com), make sure to use the nameservers both on the domain registrar side and in the WHM >> Edit DNS zone >> domain name in question >> NS records and SOA record.